AM Dolce Vita: Greenpark's Princess Margaret Hospital Show Home is going for $2M! Greenpark's Princess Margaret Hospital Show Home is going for $2M! If I was the one who won the PMH lottery show home that Greenpark donated, I would defintely keep it, even though if it meant 20g per annum in property tax! Unfortunately this lucky winner didn't share the same view, and listed this home for sale. 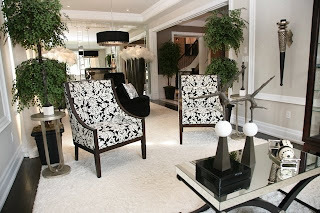 Since I missed the show home open house, I was happy to find some pictures from the property listing. I need to find out who the designer was behind this. 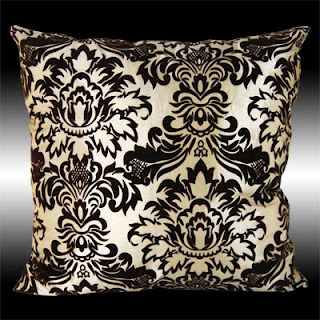 I love the crisp black-n-white combination! 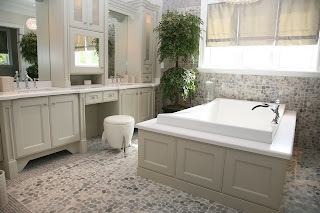 Bathroom floor tiles are exactly the same as the ones we chose. Yatta! 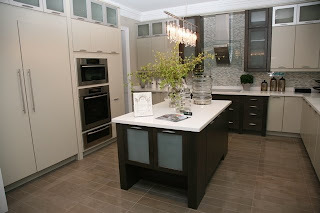 I like the clean look in this kitchen. But playing light color especially white is risky. If the cabinetry, appliances, countertops, floor tiles, backsplash are not tastefully coordinated, the entire kitchen will look cheap. 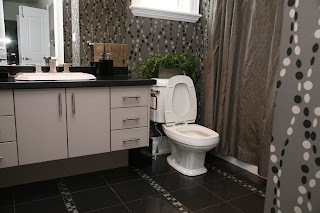 Again, I like the clean look in this master ensuite, but I don't think I am going to take the risk. It's a different story, though, for laundry room. 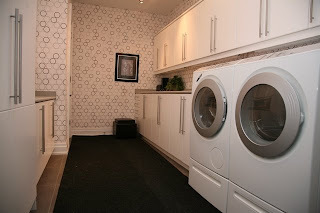 Practicality is the key, so I think I am going to plan my laundry room exactly the same as this one. This is the pewter color stain and wrought iron pickets/spindles I mentioned in one of my previous blogs. 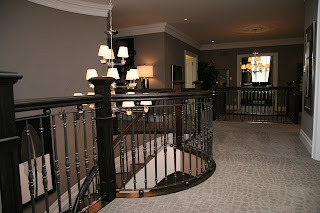 Our staircase will look like this, with the steps all stained in pewter (instead of white/pewter combination).